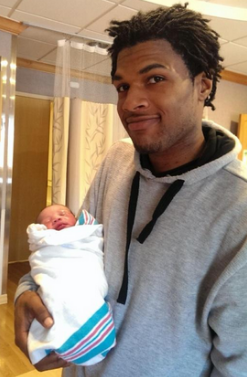 John Crawford III was killed while holding a BB gun in a Walmart in Beavercreek, Ohio. He called out "it's not real," but it didn't matter. Crawford was shot while chatting on the phone, doing some shopping. He had no idea what was happening to him or why. Crawford was killed for holding merchandise that the store itself was selling, having picked it up from the shelf while shopping. Police claimed he did not respond to orders to "put it down," but the surveillance tape shows (TW: graphic) he had exactly 1 second to do so before Officer Sean Williams opened fire. This is the second ever fatal police shooting to take place in Beavercreek, and Officer Williams was behind the other one as well. But the surveillance video (TW) directly contradicts Richie's statements. Indeed, he later changed his story, saying “at no point did [Crawford] shoulder the rifle and point it at somebody.” But it was his 911 call that prompted police to arrived on the scene poised to kill. In addition to Crawford, a 37-year-old mother died of a heart attack after fleeing the scene. She can be seen in the surveillance video (TW) walking past Crawford, unphased by his presence and completely unafraid for her life or the lives of her children. It is against the law in Ohio to "make false alarms" or to "induce panic," punishable by fine or jail sentence. Richie has not been charged, despite Williams's death being ruled a homicide. The surveillance tape itself was only recently released, after significant efforts and pressure from local activists such as the Ohio Student Association. Though the tapes were long withheld from the public, they were shown to the key witness, 911-caller Ritchie, a decision that Crawford family attorney calls "very improper." Regardless of Richie's reckless and biased behavior, once police receive a 911 call, it is up to them to discern whether a threat is credible and the appropriate level of response. They're supposed to be the professionals. They're supposed to have the experience to discern the difference between an active shooter and an idle shopper. They're supposed to have the knowledge to distinguish a weapon from a toy. They're supposed to have sufficient training to combat the racialized biases that we've all been conditioned with. They're supposed to be the professionals. They're supposed to be the good guys. But time and again we see they're not (see also, the recent police shooting of Levar Edward Jones for DWB). 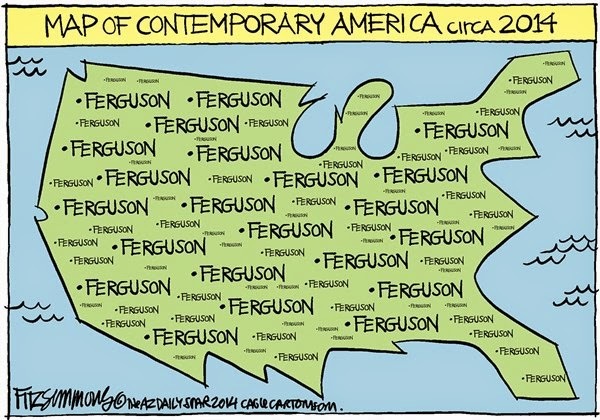 Naysayers and apologists try to dismiss each one, but it's clear there's a pathological pattern in the United States. Police are exposed to the same racial smog that we all encounter on a daily basis: they're bombarded with the daily criminalization black lives on TV, they hear the racialized fear mongering in the news media, they too are in a culture with a long history of demonizing black men. It's in the face of all this that Ohio Attorney General Mike DeWine told protesters to "trust the system." But the system is not built for folks like John Crawford. Countless black and brown folk have experienced being followed around by storekeepers for being "suspicious" (good videos in those links!). In that split second decision, Officer Williams believed that an unarmed black boy was dangerous enough to deserve to die. It turns out, most people would make the same choice (try this psychology experiment to see for yourself). That's one of the reasons that this killing (and those like it) is so alarming. When the police are the aggressors, who are your defenders? When self-defense becomes 'resisting arrest' what can you do? What number do you call to get protection from the police? In a town of 45,000 that is 89% white, the Beavercreek police know who they serve and who their friends are. There is no impartiality when police departments investigate themselves. There is no justice when prosecutors work on the same team as the cops. There is no recourse when attorneys general don't want to reform the system. An unarmed shopper is not supposed to get shot down in the store while chatting on his cell phone. The multiple failings that led to John Crawford death need to rectified. If the cops we doing what they were trained to do, the training needs to be revamped. If police followed protocol, the protocol needs to be changed. If they were taught to attack, they need to learn de-escalation. If they were "acting on the information they had," they need to get better information. Let me say it again: an unarmed shopper is not supposed to get shot down in the store while chatting on his cell phone. Sometimes the enormity of these systemic problems can be overwhelming. But we are not powerless. Ask Attorney General Mike DeWine to put pressure on the Beavercreek police to reform their police training and protocols (which, when done well, is shown to reduce racial bias in shootings). While you're calling, also ask him to pressure the Beavercreek city council to withdraw funding for militarized police forces and to redirect those dollars to improve police training in their jurisdiction. Then, follow updates from the Ohio Student Association for more news and upcoming actions. We are all breathing in a racial smog that affects how we perceive others. Though we may not ever kill anyone, these subtle biases affect our daily decisions and behavior. What are you doing to combat yours? Beavercreek 89% white? Well that's one way to look at it. It's also only 2.5% black- so 97.5% "not black." Having spent much time in the area I can tell you the Dayton metro seems very divided and racist to me. Beavercreek is one of the many area lilly-white suburbs that whites have fled to from the city of Dayton, which is now 42.9% black. It saddens me and outrages me that this happened at all, but that it happened in Beavercreek, Ohio doesn't surprise me. I definitely heard some things about the Dayton area. Indeed, there is no surprise left to have. I love who you are. Thank you for affirming these issues without a conspiracy-theory-tone, but sincere search for truth, but also justice. Thank you for your kind words. Great things happening on the ground here in OH for John Crawford Good to see. Thank you for your sharing your unique insights! Also emphasizes the importance of starting young. Our school children pick up on the environments we create at such an early age..and it has lasting effects! Many thanks for Dr. Beverly Tatum for the metaphor..and for so many lessons! I really cannot wait to read your book. I've been looking forward to it ever since I learned you were writing. I anticipate learning so much. Your voice and wisdom are so appreciated.